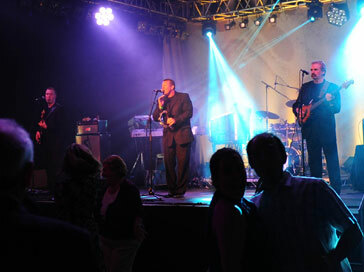 Sean Slattery and the Connections have that winning formula that makes them the perfect choice for any occasion. Their secret is in their versatility and large repertoire of songs from the all time party favourites to the classics spanning the last four decades and of course today's modern popular music. With the unmistakable drive and energy that they put into each and every performance you will find it very hard to get off the dance floor. Their tried and tested formula puts this band at the top of their profession and means that your event is sure to impress. Whether it's for a wedding, twenty-first, Christmas party, corporate event or a straight out gig you can be assured that the talent and professionalism, which is this bands trademark, will create great entertainment and provide wonderful memories for many years to come. Don't be disappointed. Book now.